With so many brands to choose from, it’s little wonder that clients often feel daunted at the prospect of choosing the right appliances to go with a new bespoke luxury kitchen design. While many people will recognise the top brand names on the market, it can be difficult to narrow down the selection and make the right decision for you and your specific needs or taste. We at McCarron and Co feel that one of the best ways to go about arriving at a decision is to take part in one of the many client demonstration days on offer. We often hear from clients just how informative, not to mention fun, a session has been! With so much positive feedback in fact, we jumped at the offer to attend a demonstration by Sub Zero & Wolf at their Knightsbridge showroom. When we first arrived, we were greeted by the friendly and welcoming Jacqui Hogan, the showroom manager, and given a tour of the newly refurbished Knightsbridge showroom on the Brompton Road. The impressive array of appliances on display means that you get a real feel for the look and quality of the Sub Zero & Wolf products. For us it was fantastic to learn a little more about the history of the brand and what makes them so unique. For example, we were amazed to learn that their air purification system was originally developed by NASA to aid food preservation in space! 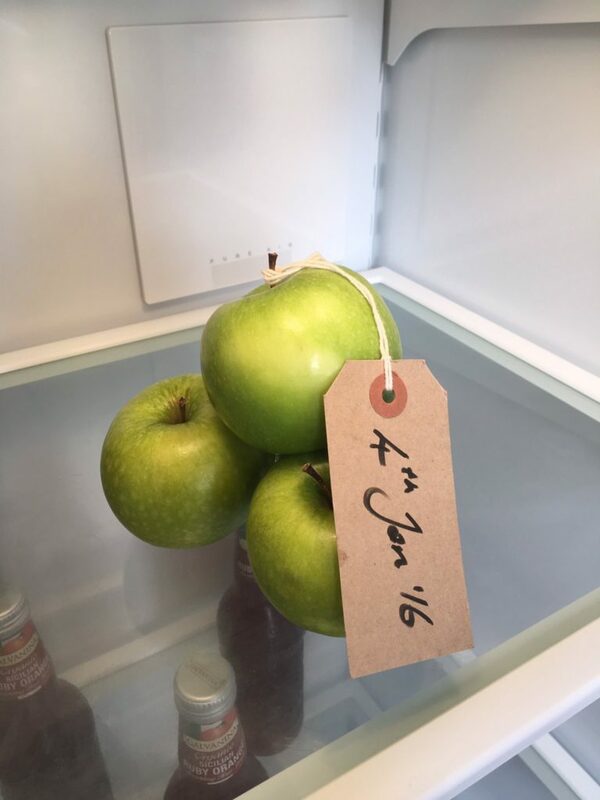 One of the apples from the Sub-Zero fridge – dating back to 2014 and still fresh! After our welcoming and informative introduction, we were seated downstairs and introduced to Bruce, their award-winning resident chef. Formally trained in South Africa and previously based at The River Cottage, Bruce focuses on fresh, local produce and is passionate about his ingredients and where they come from. He also explained to us why so many chefs insist on using Sub-Zero and Wolf appliances in their kitchens. The mouth-watering menu of asparagus risotto, Teriyaki sea bass, and grilled pesto marinated chicken was prepared as we watched, using a variety of Wolf appliances, including the Dual Fuel Range with Griddle and Charbroiler, plus integrated steamer and wok burner. 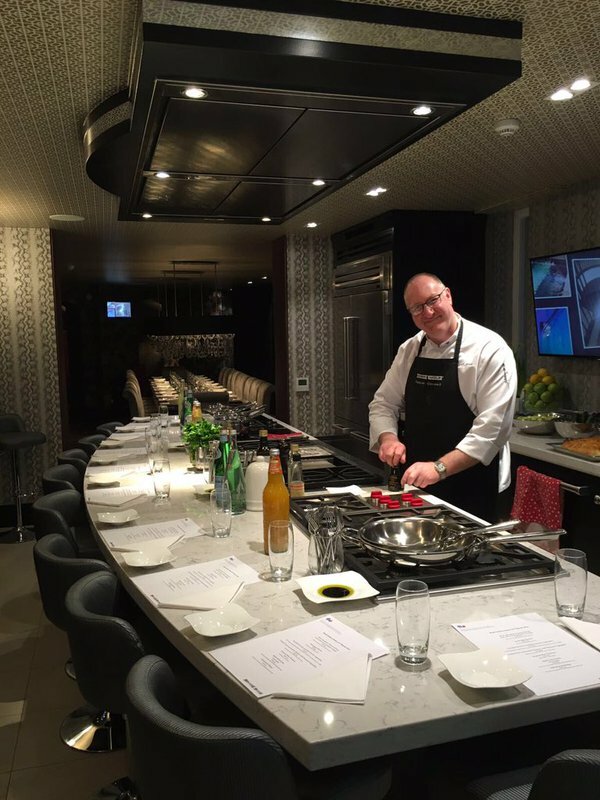 We witnessed first-hand just how simple and easy it could be to really make the most from these luxury appliances to create delicious, fresh food. It was inspiring to see such a variety of appliances in action and you couldn’t help but be impressed with the quality of the demonstration. We finished off the feast with an outstanding apple Tarte Tatin and after a final taster of dehydrated pineapple, we were able to relax over a glass of wine while Jacqui and her friendly team were on hand for any questions. Having experienced first-hand what gives Sub-Zero & Wolf their outstanding reputation, we can certainly vouch that the demonstration days on offer are an experience not to be missed if you are considering which luxury appliances to install in your new bespoke luxury kitchen design. If you are interested in attending a demonstration event, contact McCarron and Co at one of our showrooms in Notting Hill or Chelsea. 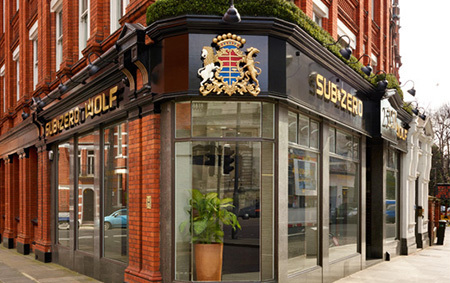 You can also visit Sub-Zero & Wolf at 251 Brompton Road, London SW3 2EP, tel. : 0845 250 0010 and email: knightsbridge@subzerowolf.co.uk.